The new Swiss Regional Edition 2017 from Sancho Panza is finally available. A prime Cuban cigar to enjoy with some age, as per usual with this brand. 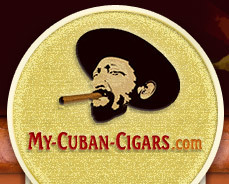 The construction is dense with tobacco and the wrapper is a soft colorado claro leaf. We can expect the flavors to open up in 3 to 4 years' time with sweet and vegetal notes. This Regional Edition 2017 has a high potential and should already be in your humidor for aging.